Given the state of Bitcoin, there has been no shortage of articles ecently lamenting the fall of cryptocurrency. It’s like some doomsday prophecy predicting the end times for the crypto market. But is that the case? Old news or new beginnings? Yes, BTC has plummeted to its lowest price in over a year since October 2017. For an investor that bought into BTC as a get-rich-quick effort rather than believing in the long-term future of cryptocurrencies, the recent nosedive would be considered close to Armageddon. In which case, fearfully dumping their holdings was probably a smart choice. However, for the long game bulls, the opportunities that are starting to rear their head are nothing short of exciting. I believe what we’re about to see is a natural cryptocurrency hard fork. Like any evolutionary process, changes are an inevitability and there will always be something better to take its predecessor’s place. That’s what’s happening in the market. While there is always space to create new coins, some devs choose to hard fork as a result of a disagreement. 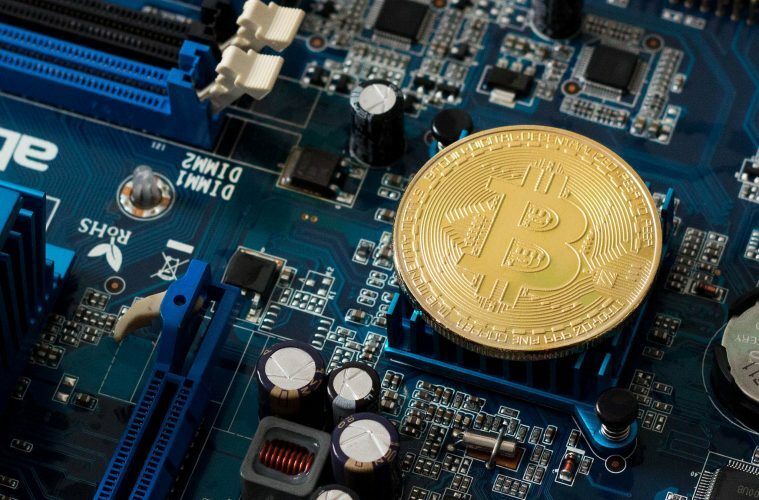 The cryptocurrency space is decoupling away from Bitcoin, giving altcoins room to grow separately. While it’s impossible to liken the infancy of the crypto market to other markets, there are still identical investor habits we can draw from. History may not repeat itself, but it does work in patterns. If commodities crash, equities shine, and vice versa. If it all hits the fan and the market goes into freefall, gold is often considered reliable as a safe hedge. Just as with precious metals, Bitcoin had shared that safe space, with other cryptocurrencies slowly following suit. Unlike other markets, where one element rises when the other falls, the crypto market has its own established patterns. If Bitcoin starts a bull run, altcoins gain value. When the market capitulates, altcoins fall at least 10-15% below Bitcoins performance. If the past is anything to go by, we’d expect the same results this time around. Let’s look at the Coinmarketcap figures. 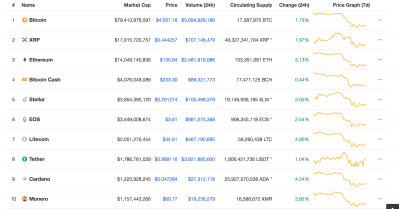 This snapshot of the top ten coins taken Monday 19 November 2018, just seven days after the bloodbath, should show aggressively red performance. On the contrary, this exciting decoupling of the alts away from BTC shows a substantially different response. While there has been a widespread drop across the market – the fall hasn’t been quite as dramatic as it would have been in days past. In fact, Stellar stood strong at 11.24%. As the other leading outperformer, Ripple (XRP) defended its emergence as a strong frontrunner over Ethereum. A snapshot from Thursday 22 November 2018 shows positive change across the board, with Bitcoin being amongst the lowest to climb back. Comparing the performance over the last seven days in the price graph, we’re starting to see more than one alt strongly standing on its own two feet. If you take the stats from Thursday’s close of the entire top 100 only 10% are in the red. The figures speak for themselves. The decoupling of altcoins is slowly but surely escaping the control of their predecessor. What’s the earliest search engine you remember? Ask Jeeves? Yahoo? The butler didn’t start work until April 1997. In fact, the world’s first search engine came a whole seven years prior in 1990 when there were so few web pages you could actually search each page manually to find your answers. Fast forward a mere 28 years, and Google is a behemoth in comparison to its archaic counterpart. Volatility is dampened by adaptability. Like the current growth of 1.8 billion websites, as adoption increases, so does the awareness. It’s this visibility of the crypto market that’s led to the markets decoupling. Leaving Bitcoin as a stand-alone digital asset, while altcoins are confidently coming into their own. Just like software companies didn’t fail when the world took to the cloud, and FIAT redeemed itself after the 2008 crash, the correction will pass. Stay patient; we will soon see a loosening of the ties that bond Bitcoin to the alts, leading to less volatility across the market, and of course, crypto’s natural hard fork.